Well hello to you my reader chums! 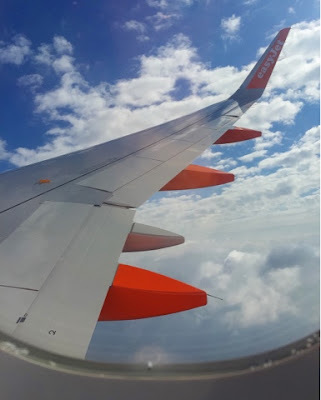 If you read my last post about travelling to Athens solo and seen my anxiety article, you'd know going to places on my own isn't my strongest point. 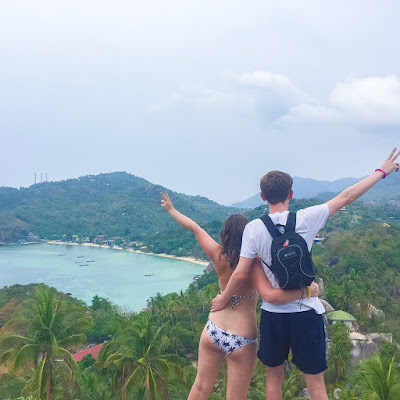 It took a whole lot of courage to get to this stage and actually do it, so I wanted to share my best tips with you all, to anyone who either suffers with anxiety, has a fear of travelling alone or is a bit nervous for an upcoming trip. 1) Plan, plan, plan - One of the things I found to put my mind at ease was planning every bit of my solo journey at the airport to Greece. For instance I made a list of what I needed to do at the airport before boarding and kept myself busy so I didn't have time to get worked up. I treated myself to a Pret breakfast, put my makeup on and unwinded flicking through a magazine, prior to departure, keeping my mind busy. I planned out in my mind when I got off the plane to go through security and walk out to find my aunt. With set goals and things I knew I had to do, gave me things to focus on rather than my mind being left astray with worry. 2) Bring distractions - On the plane or when chilling at the airport, distractions will give your mind something to do if worry begins to sink in or time isn't passing by. I'm an avid book reader so always bring along a book for the plane ride. Magazines are a good shout if you'd love something just to flick through or mini colouring books are easy to travel with. I take my headphones everywhere to either listening to my favourite albums or the calming apps, in case an anxiety attack strikes. Calm.com and Relax lite are both apps which help with your breathing and play soothing music, essentially relaxing you. 3) Get comfy - Short or long haul flight, comfort is key when stuck in the same seat for a long time. I always like to wear something cosy, whether that's a jumper and gypsy pants or a dress, whichever is easy to sit in for a long period. A travel pillow is another essential for pure comfort and ease, especially if you're like me, finding it difficult to sleep on planes. The flight I just had, my best friend bought me a travel pillow and it was the most amazing thing ever - I was actually able to sleep there and back! A scarf or really long cardigan is perfect also to snuggle up when feeling tired. 4) Take your 'comfort blanket' - Being an anxious person, I always find travelling that extra bit easier when I have some homely comforts with me or my 'safety blanket' of friends. As I was travelling alone, I made sure to wear my trusty travelling jumper I put on for every trip. This gave me a little reassurance that I had a my comforting thing along for the ride. 5) Let the excitement take over - Easier said than done, but when worries are taking over you can never really feel the excitement and adventure that lays ahead for a trip. Instead of focusing on everything that could go wrong on the journey/trip, think of all the exciting things you'll see, memories you'll make and the fun which is coming. As I was visiting my aunt and cousins, I focused on seeing their big grins when I landed in Athens, which in turn put my mind at ease, allowing the excitement to unroll. Worrying takes the joy away from every situation and even though anxiety can take control, you have every power to control it. Let the excitement build up and tear your anxieties down. Travelling and experiencing new adventures makes my heart soar. Over the past year, I've visited so many new places and I'm incredibly grateful. Yes, I suffer with anxiety but I haven't let it take over my desire to travel and see new things. I'm not anxiety, I'm Della, an avid traveller and dreamer. I want to see the world and won't let anxiety stop me. You can do this. You can do whatever you put your mind to! Create those stories, make unforgettable memories and be brave you. I hope you enjoyed this post. What are your best tips for tackling travel anxiety? 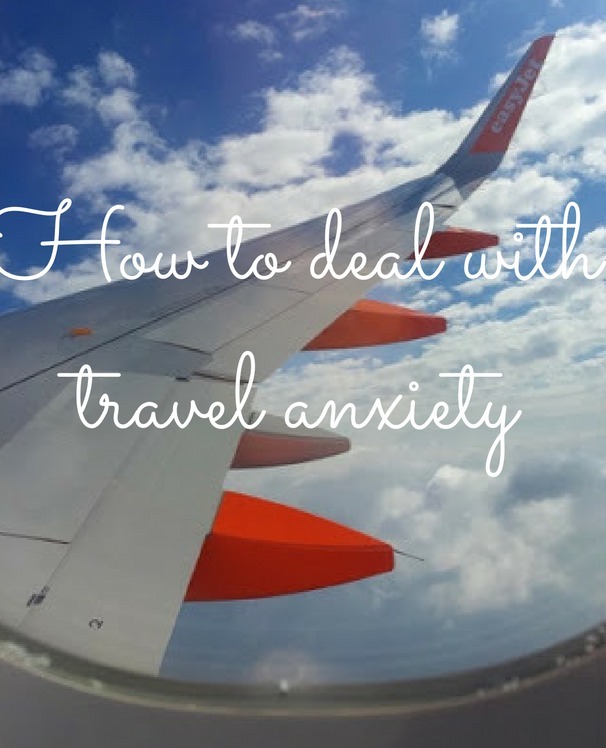 only recently I've found I've been super anxious about travelling so this was super helpful! Such a great idea for a post! I definitely think getting comfortable is a great tip, so important. Lovely tips, great of you to share this. I have the opposite trouble, I always want to travel to places on my own, that I struggle to be in one place or travel with friends. I totally relate to the excitement factor! I'm start to focus less on how I'm getting there, more on the exciting plans to come on holiday!